Every year the cycle of holidays goes by so quickly and from one day to the next it seems as if the ecclesiastical period succeeds the other and we feel that last years’ Great Lent was only yesterday. Time goes by without realizing it. We are getting closer to our transition from this life to the other Life, the Eternal one. While we think and philosophize about life, our purpose and destination, we must truly accept the fact that there is an Afterlife. Our Church as a witness continues even after two thousand years to proclaim the teachings and the sayings of her theanthropic Founder, that there is eternal life after death. By accepting this belief, that there is life after death, the question to be asked is “how can one obtain this life?” The first and most important answer to this is that “one should believe that Christ is our God, our Savior and Redeemer. The Church also helps, through the Sacraments and her services, to cultivate the Spiritual Life. The purpose and aim of the Sacraments and services is the experience of a personal relationship of love between man and God, which first has to be experienced by man towards his fellowman. 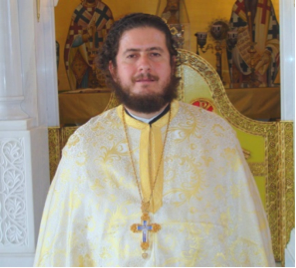 The unique attribute of the Orthodox Church and that of Orthodox Spirituality in comparison with the other Christian denominations is the participation of her faithful in the services of the Church, the daily spiritual struggle, the fasting, the asceticism and prayer. Great Lent is the foremost period of spiritual struggle. “The stadium of virtues begins.” The faithful are called to offer some sacrifices for the love of Christ. They are called to abstain from certain foods, from desires and pleasures; in other words, to exercise spiritually. To offer more time to prayer and less to the enjoyments of life and to sleep, because “fasting, vigilance and prayer are heavenly gifts.” All these are our preparation for the holiday of holidays, the Resurrection of our Christ: the Holy and Great Pascha. Have a good Lent and I wish you strength in your spiritual struggle.